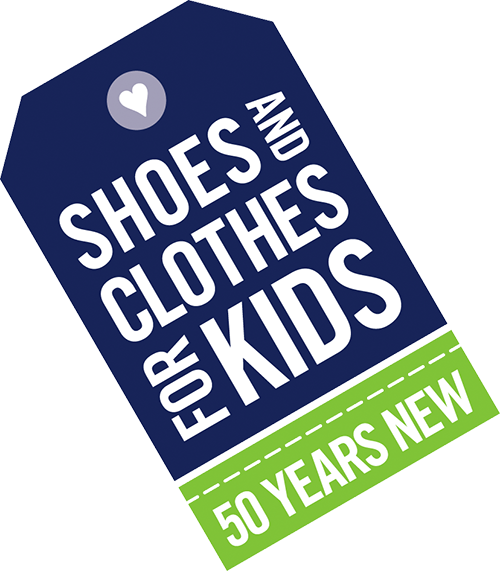 In 2019, Shoes and Clothes for Kids will mark its 50th year of positively impacting the lives of greater Cleveland’s neediest children. When our founder, Morrie Sayre, learned that many children in Cleveland lacked adequate footwear, he worked with the local YMCA to collect and distribute shoes. He and his friends sometimes kept supplies of shoes in the trunks of their cars so they could hand them out to kids on the playgrounds. Soon Mr. Sayre engaged his inner circle and began raising money to purchase new shoes. The organization continued to evolve and expand as the community’s needs grew. Today, Shoes and Clothes for Kids is improving school attendance and equalizing the classroom learning opportunity for greater Cleveland’s neediest children by providing them brand new school uniforms, clothes, school supplies, and shoe gift cards. As we celebrate being “50 years new,” we are inspired by our founder’s commitment to positively impact more students as the challenges for them and their families continue to grow and change. Our plans are big and bold, but we know we can achieve them with your support. To celebrate 50 years of serving Cleveland’s families in need, SC4K is committed to doubling our impact and raising an additional $1 million during our 50th anniversary year. Raising an extra $1 million is our largest fundraising goal ever, but we believe it is attainable because the community cares, teachers care, and you care. We invite you to join us in honoring the founding work of Morrie Sayre, who saw a need and took action. With support from philanthropic friends like you, that small step was nurtured into an organization that now serves thousands of children each year but could do so much more. The SC4K 50th Anniversary Program Growth Fund is our gift back the community—an opportunity to express our gratitude for the many years of support and a commitment to deliver more services to many more families in the coming years. Our current budget for expanded programming allows us to serve nearly 7,000 students per year. With the $1 million raised, SC4K will provide an additional $200,000 per year from 2020 to 2025 which has been designated by our Board of Directors to be used solely for program needs. Please help us set more kids up for success in school and life by supporting the SC4K 50th Anniversary Program Growth Fund. On behalf of all the children, parents and teachers we serve, thank you.